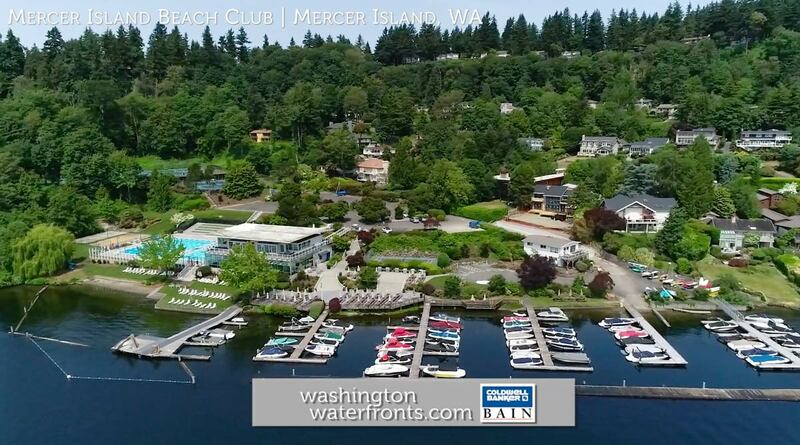 Mercer Island Beach Club is an expansive waterfront property with spectacular Lake Washington and Mount Rainier views, with Mercer Island Beach Club waterfront real estate including homes that enjoy the same as well as easy access to the wealth of club amenities. Members enjoy a variety of aquatic sports, swimming, fitness, tennis and social activities, including movie nights and card games. You can even slide off the swim dock for a refreshing dip right into the lake, that is, if your own home doesn’t already have one. It also features a sandy beach, lifeguarded swim dock, six moorage docks and 74 boat slips as well as kayak racks. Of course, you’ll also be able to take advantage of the myriad of recreational activities lakeside living offers while being in one of the most desirable spots in the entire country. With Mercer Island Beach Club waterfront property you’ll be in an ideal spot for commuting to either Bellevue or Seattle, both of which are just 20 minutes away. World-class attractions, a wide range of eateries from casual to fine dining, and all sorts of shopping, including a wealth of upscale options are just as close. On this end of Mercer Island you’ll find a number of shopping, dining and other services as well, including a grocery store and pharmacy, coffee shop and a handful of food establishments. With Mercer Island Beach Club waterfront real estate, you’ll be living in a true urban oasis while enjoying many luxurious perks, reflecting those multi-million-dollar price tags. As one of the most desirable spots in the entire nation, it ensures you’ll be making the best of Pacific Northwest island life. Take advantage of our industry-leading tools to make your property search as easy as possible and be sure to register for a FREE account so that you can receive email alerts whenever new Mercer Island Beach Club real estate for sale hits the market. If you’re seeking to sell your Mercer Island Beach Club property, contact our Waterfront Specialists directly for a comprehensive listing analysis and to learn more about the cutting-edge marketing strategies we’ll use to sell your home quickly for top dollar!